Passing lanes are provided to break up traffic platoons and improve traffic flow over a section of road. They provide an overtaking opportunity and are sometimes the only practical chance for overtaking to occur. 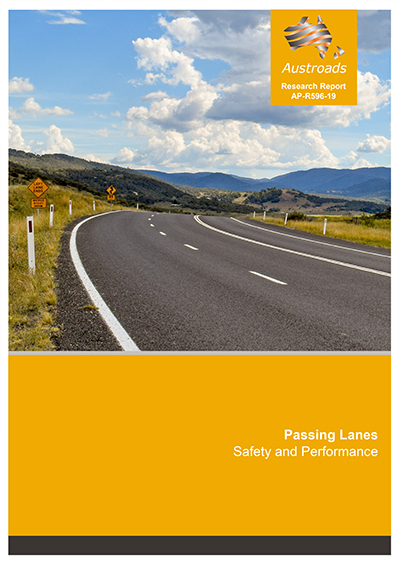 Austroads has recently published a report that provides guidance in the development of passing lane installation projects by examining their impacts on safety, journey time and user experience. This webinar will provide an overview of the benefits associated with passing lanes for guidance for practitioners. Join in a live Q&A with our presenter to have your questions answered. Dr Ian Espada is the Principal Professional Leader, Future Transport Technology, Network Operations at ARRB. Ian has 20 years’ experience in traffic and transport engineering. He is the lead researcher in a number of traffic engineering studies on a broad range of topics including traffic operations, traffic flow theory and modelling. He led the project team of this Austroads research project. Dr Chris Stokes is a research academic at the University of Adelaide and has been working with the Centre for Automotive Safety Research (CASR) since 2014. As an expert in the field of traffic infrastructure and traffic engineering, he has been involved in numerous projects aimed at improving the safety of roads and traffic systems. No charge but registration is essential. Can’t make the live session? Register and we’ll send you a link to the recording.